Mini-horse property, fenced and cross-fenced, on 5+ acres with pond and 5 stall barn with tack room. The 2 bd/2 ba home offers laminate and ceramic tile flooring throughout plus new windows, well pump, plumbing & bladder tank. Newer appliances all stay, including washer and dryer. Master bedroom suite upstairs has 8 x 5 walk-in closet and bathroom with over-sized shower stall. 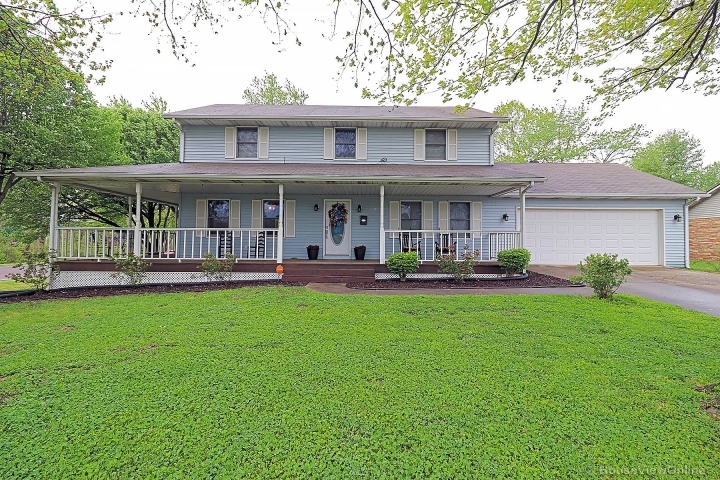 Main floor has a large living room with gas wall heater that heats the entire house in the winter (to save on electric costs), separate office area, large eat-in kitchen, large laundry/mud room with pantry, and a 2nd large bedroom and 2nd full bathroom with jetted tub. 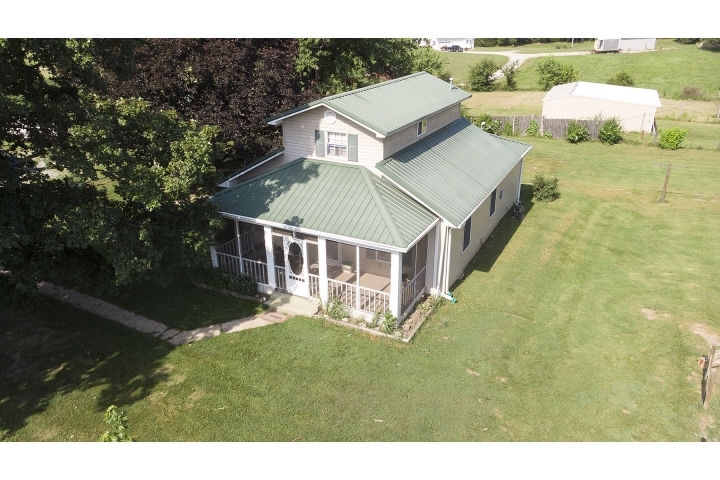 Vinyl siding and metal roof on home, vegetable garden, two covered dog pens with concrete flooring, detached 2 car garage, plus 9 ft high carport, hay shed, 5-stall barn and tack room with electric and water, and older barn that could offer more horse stalls with some repairs. No restrictions.